Tri-State Greyhound Park, now know as Tri-State Racetrack & Gaming Center, is a greyhound racing track in Cross Lanes, West Virginia. It also boasts a 33,000 square foot casino that features 1,600 slot machines plus one very spacious restaurant. Tri-State Greyhound Park is West Virginia's primary gambling attraction. Recently, it added a 57,000 square foot New Orleans-themed amusement park called the Mardi Gras. Many expect that it will boost the racetrack's stature and importance in the tourism and greyhound racing industries. Tri-State Greyhound Park's main track surface is much friendlier to strong, mid-track to wide running greyhounds. Among the more famous names that have raced at Tri-State Greyhound Park are Peach Wine, Peach Cob, Charlotte Fever, Kiowa Motivate, Valid Day Storm, Pazzo Swoosh and more recently, Captain Richochet. 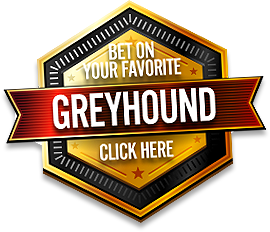 This site is not an official website and it is neither approved nor endorsed by Tri-State Greyhound Park. © 2003-2014 Wheeling-Downs.info may link to third party websites and software. We do NOT endorse, and are NOT responsible or liable for any third party content, products, or services available from such websites. Online gambling may NOT be legal in your jurisdiction. Do NOT gamble online unless you have verified that it is legal for you to do so.